Dr. Lindsey is an associate professor of Women's, Gender, and Sexuality Studies at Ohio State University. Follow her @divafeminist. Trayvon Martin would have turned 22 this past weekend. It is hard to believe that it has been five years since he was killed by vigilante George Zimmerman. Martin&apos;s blackness and hoodie were all the neighborhood watch member needed to see before concluding he was “up to no good.” Within minutes of encountering the unarmed 17-year-old, Zimmerman took the life of Sybrina Fulton and Tracy Martin’s child. Zimmerman has never uttered an ounce of remorse for killing Martin. His fallacious but legally viable claim of self-defense was anchored in his desire to “protect” the community from the threat he imagined Martin posed. Zimmerman did not see a teenager on the phone with his friend while walking home; he saw a thug, criminal, and potential violent offender. He was vindicated by a justice system that saw Martin through similar eyes. Martin&apos;s murder and Zimmerman&apos;s acquittal helped awaken a nation to painful truths and lies about anti-Black racism and policing in the twenty-first century. Martin was on trial as much as—if not more than—Zimmerman. The dead could not speak in the courtroom, but the history of black people being murdered by police spoke volumes about an unchanging reality of blackness being synonymous with criminality. 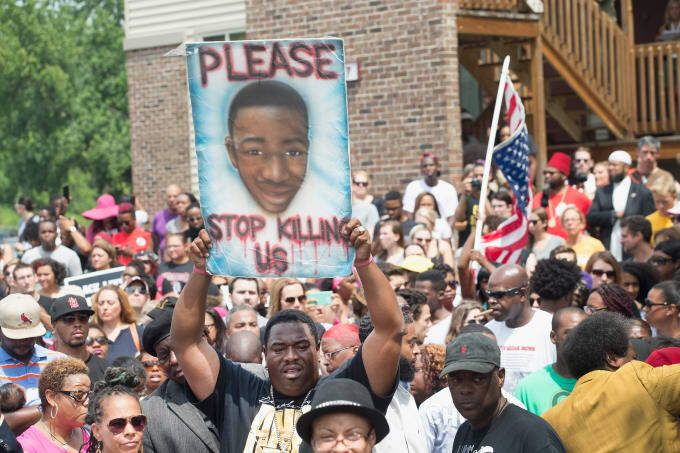 The Zimmerman Trial revealed how fractured the U.S. remains on the topic of anti-Black racism. Only 31% of white people polled disapproved of the not guilty verdict, while 86% of black people polled disapproved. For a new generation of activists, however, Martin’s death was a significant spark for one of the first sustained social justice movements of the twenty-first century, the Movement for Black Lives. Zimmerman’s acquittal fit within a long history of non-Black perpetrators not being held accountable for crimes against Black people. Folks quickly connected the killing of Trayvon Martin to the brutal murder of Emmett Till. Activists, artists, scholars, and everyday folks recounted the pain of Emmett’s mother Mamie Till in discussions of Sybrina Fulton. Both of their murdered sons became catalysts in battles for social change. Their sons were and are symbolic, substantive forces propelling new chapters of the long black freedom struggle in the U.S. Although the killing of Michael Brown and the Ferguson Uprising are often cited as the “official” impetus for what became the Movement for Black Lives, Martin’s murder and Zimmerman’s subsequent acquittal energized a new cadre of people tenaciously committed to addressing racial injustice. Across social media platforms, people posted pictures of themselves in hoodies as an act of solidarity. Marches and rallies were held in cities across the country to demand murder charges against Zimmerman. Without this massive public outcry, it is quite possible an indictment may never have come. Protests in South Los Angeles after Zimmerman&apos;s acquittal. 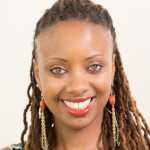 In summer of 2013, during the wake of Zimmerman’s acquittal, activists Opal Tometi, Patrisse Cullors, and Alicia Garza created #BlackLivesMatter as a rallying cry and foundation for a movement responding to pervasive anti-black racism. These dynamic black women connected to a justice-centered energy, a will to mobilize, and an emerging desire for new modes of organizing for racial justice. Instead of viewing Martin’s killing as anomalous, people mobilized around the disturbing pattern of black people being killed by police officers. The hashtag #1Every28 was borne from a study conducted by the Malcolm X Grassroots Movement about the near-daily occurrence of fatal police shootings of Black people. The report found that 313 black people—or, one black person approximately every 28 hours—were extrajudicially killed by police officers, security officers, or vigilantes in 2012. By August 2014, the Ferguson Uprising catapulted the fight for justice to even more urgency by exposing what had been brewing. The small Missouri community&apos;s frustrations with anti-black racism, police brutality, systemic neglect, and marginalization reached full pitch. August 2015, people gather outside the apartment complex where Michael Brown was killed for a memorial service. Around the country, groups like Dream Defenders, Assata’s Daughters, Hands Up United, BYP 100, Trans Women of Color Collective, the BlackOUT Collective, Gathering For Justice, Organization for Black Struggle, Black Women’s Blueprint, Black Alliance for Just Immigration, and the Million Hoodies Movement for Justice organized in local communities and larger networks to build a national (and now global) collective of people and resources committed to upending anti-Black racism. These independent groups formally coalesced to craft a “common vision and agenda” known as the Movement for Black Lives (M4BL). M4BL&apos;s platform came out of an historic convening that took place in Cleveland, Ohio in July 2015. Attendees did not always agree on the road forward, yet sought and found common ground in their desire to build a movement grappling with various forms of anti-blackness, including combating economic, health, gender, sexual, food, and environmental injustices. Police murders of black people such as Martin, however, remained central to M4BL, especially since the numbers only continued to grow after the teen&apos;s death. The killings of Tamir Rice, Rekia Boyd, Eric Garner, LaQuan McDonald, Mya Hall, John Crawford, Sandra Bland, Korryn Gaines, Philando Castile, and Alton Sterling made national headlines and propelled, to varying extents, local and national protests. Although these protests rarely resulted in convictions or even charges against police officers, the national (and in many cases global) media coverage of these deaths and subsequent acts of civil disobedience did compel many Americans to think and care about anti-Black racism in the twenty-first century. The M4BL has created direct and indirect community impact: with direct-service programs like Books and Breakfast, by supporting campaigns to oust district attorneys who fail to seek justice on behalf of black victims, by compelling the U.S. Department of Justice to investigate racist policing, and by advocating for community-centered strategies for addressing violence. People discounting these significant strides made by M4BL often cite the lack of charges or convictions for police officers who kill Black people as proof of the movement’s ineffectiveness. While no movement is beyond critique, it is worth noting that victories in Black freedom struggles are rarely won overnight. M4BL is still in its early years and constantly evolving, growing, and finding ways to be inclusive of all Black people in meaningful, intersectional ways. The rise of M4BL has been met with stark opposition from those who believe racism is a relic of the past, and the counter-movement #BlueLivesMatter has also emerged. Governors and legislators in states across the country are pushing back against the idea of systemic racism in policing and the criminal justice system. The Trump Administration has even made law and order a core tenet and seeks to roll back basic criminal justice reforms that occurred over the past several years. The road ahead for M4BL is a challenging one. Although there is a renewed energy for activism among many people as a result of Trump, the potential effects of such an openly racist, xenophobic, anti-LGBTQIA, anti-immigrant, sexist, anti-poor, and ableist administration are alarming. 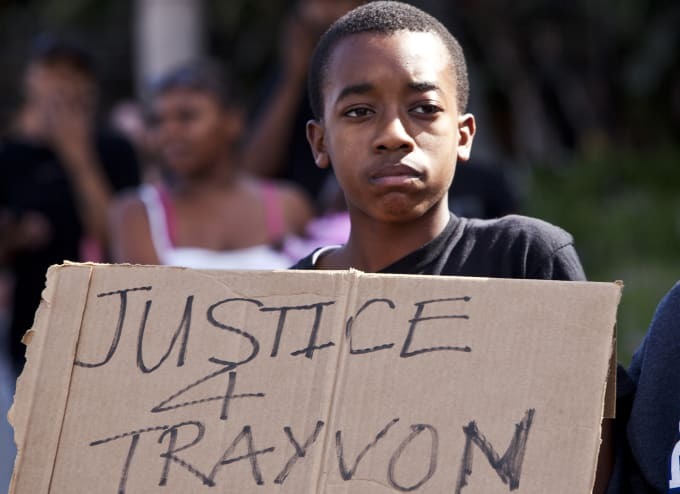 In these perilous and uncertain times, it is important to remember Trayvon Martin and the millions of Black lives—from slavery to present—that have been victims of anti-Black racism. In 2017, Trayvon’s life and death remind us that we are a nation built on anti-blackness. At the tender of age of 17, Martin became one of many stories of the inhumanity of anti-Black racism. His story still resonates through the Movement for Black Lives.